B1671. Heinrich Kralik. The Vienna Opera House. 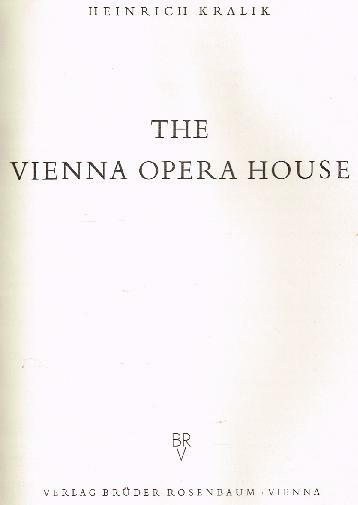 Vienna, Verlag Brüder Rosenbaum, 1955 (English Edition). 195pp. Profusely illus. ; DJ. Choice copy has wee tear, bottom of DJ. “In the interwar period, Heinrich Kralik was a music critic for the NEUES WIENER TAGEBLATT and worked as a writer on music. 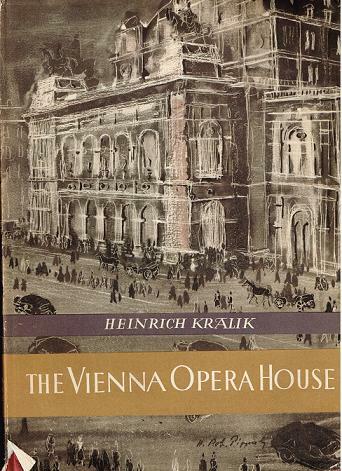 Very popular launches his opera of which were from 1924 to 1950 appeared a hundred bands in the TAGEBLATT LIBRARY. His 1937 published book about the Vienna Philharmonic was banned during the Nazi era; any journalistic work was prohibited because it will be his ‘non-Aryan’ nature. In resurrected Austria it in 1945, the head of the music department was RAVAG (Austrian Broadcasting Corporation) transmitted. Among his major achievements was one of the first Renaissance of the works of those years of the ostracized Gustav Mahler. In the following years he published a series of important works, most of which have been published in English and French translation.